Working towards providing one stop solutions to our clients, we are the prominent wholesalers and traders of welding, cutting machines and consumables. 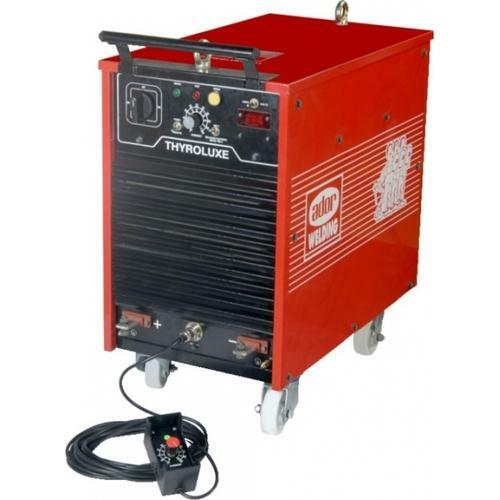 The gamut of products offered by us includes welding electrodes, cutting systems, portable gas profile, air plasma cutting machine, cnc profile plasma cutting, safety equipments and accessories, industrial torches and regulators, welding equipments, and welding accessories. Apart from these we provide high quality mild steel electrodes, welding machine, cutting machine, steel electrodes, wires and fluxes, welding rectifier, TIG plasma torches spare parts, and welding generators. Our products are globally appreciated for quality, durability, precision dimensions and efficient service life. We provide customized services besides making OEM facility available to our client in order to ensure client satisfaction. We are renowned in the market for post sales services like installation and operational training. All our products are sourced from reliable vendors who are chosen on the basis of quality products, ethical business and industrial experience.